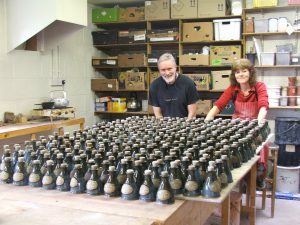 All Fangfoss pots are individually hand made and finished using glazes prepared at the pottery. 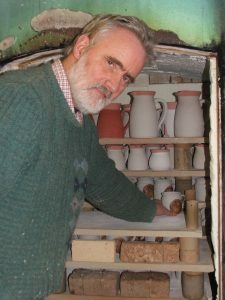 They are fired to 1,280 degrees C in a gas kiln, which produces some unusual effects and colours in the glazes. 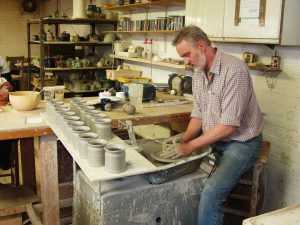 All pots are individually hand-made using stoneware clay, either on the wheel or by hand modelling, and finished using glazes developed by us. degrees C. During this firing process the atmosphere in the gas kiln is “reduced” and this enhances the colour and effects of the glazes. All the pottery is ovenproof, dishwasher and microwave safe.